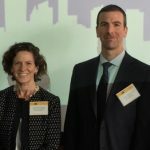 Joseph Casey | Econsult Solutions, Inc.
Joseph M. Casey is a Senior Advisor for ESI and former General Manager of the Southeastern Pennsylvania Transportation Authority (SEPTA). SEPTA is the sixth largest transit operation in the United States serving a 2,200 square mile, five county service region along with selected destinations in New Jersey and Delaware. A 34-year SEPTA employee, he was appointed as the ninth General Manager in February 2008. 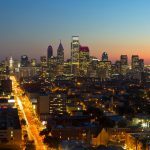 SEPTA is a $3 billion transit asset with an annual Operating Budget of $1.3 billion; an annual Capital Budget of $571 million; and an asset pension plan of $967 million. Mr. Casey began his career in transportation at Consolidated Rail Corporation (Conrail) before joining SEPTA in 1982. Prior to being appointed General Manager, Mr. Casey served for six years as the Authority’s Chief Financial Officer and Treasurer and held senior management positions in Internal Audit and Finance. 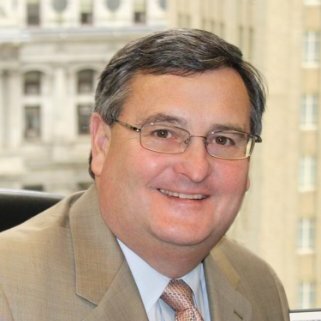 During his tenure at SEPTA, Mr. Casey was successful in establishing balanced Operating Budgets for 16 years, streamlining expenses and reducing costs, and containing overall budget growth even in the face of skyrocketing healthcare and fuel costs. Under his financial direction, SEPTA generated new income, in excess of $33 million, from non-traditional sources, including advertising and investment income. As SEPTA General Manager, Mr. Casey was instrumental in refocusing the organization on customer service and courtesy, cleanliness, communications, and convenience while delivering quality transit services to customers and the region. Under his leadership, SEPTA achieved record ridership and took a leadership role adopting a comprehensive sustainability program focusing on initiatives ranging from building an eco-fleet, developing alternative energy generation and storage, to station and facility recycling. In recognition, SEPTA received the 2012 American Public Transportation Association (APTA) Outstanding Public Transportation System Award and the 2012 APTA Gold Sustainability Recognition. Mr. Casey is also a nationally respected voice on transit infrastructure investment and was a key leader for public transportation during the passage of Pennsylvania Act 89 – a comprehensive long term funding bill for public transportation across the Commonwealth. Mr. Casey holds a Bachelor of Arts degree in Accounting from Drexel University and is a Certified Public Accountant.